Impatient… There’s always tomorrow | Stampers With Altitude!!! Well, my light tent came in…. and… well, I put it together wrong. Of course, my man came to the rescue and after 10 minutes or so, got it to …. well… figured out that the top was the bottom and the bottom was the top…. LOL Anyway… I am going to try a few tips my niece gave me and see how that goes too! Hopefully the pictures will be better. These adorable nugget stacks are always a big hit at the craft fair. I don’t exactly charge what I should for my goodies. So, they sell like hot cakes! There is a mix of retired stamp set and ribbon… plus current. 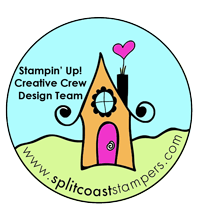 The current product will have links to my Stampin’ Up! website.